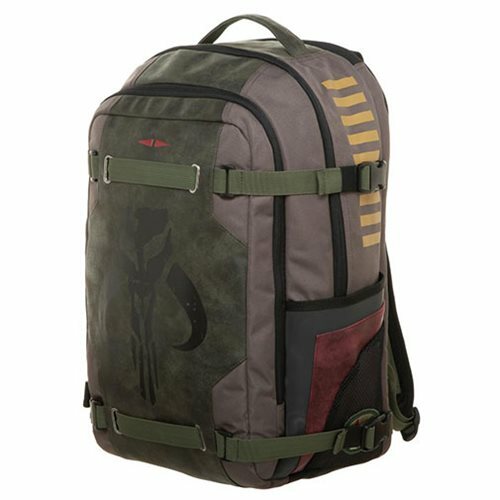 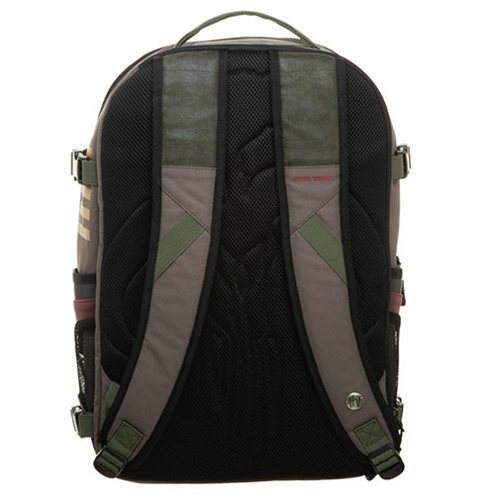 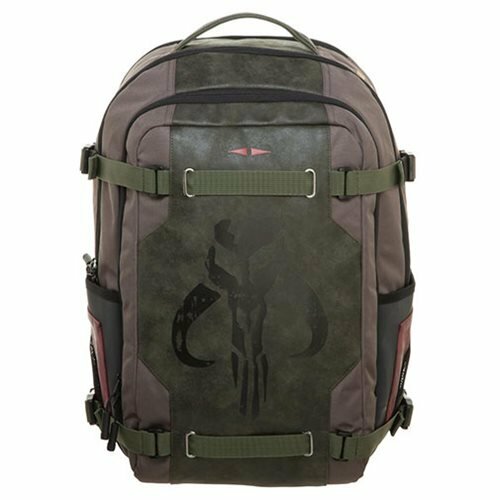 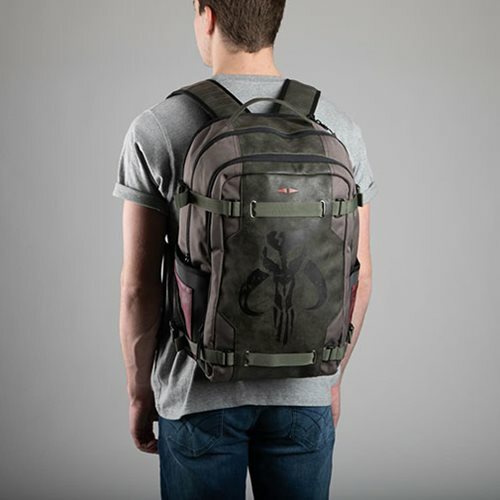 Whether you're headed back to school or out on an adventure, pack what you need in the Star Wars Boba Fett Mandalorian Warrior H&V Backpack. 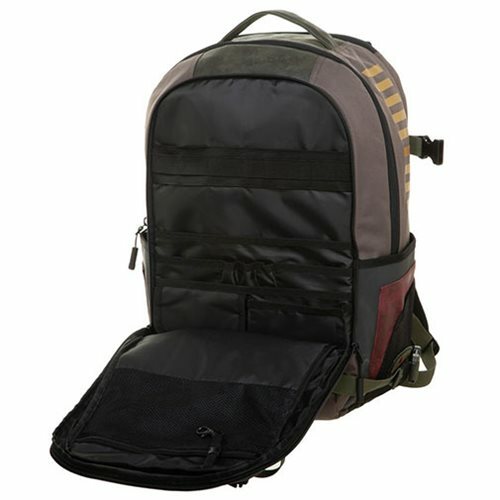 It includes a padded laptop pocket for laptops up to 15-inches, organizing pockets, and side slide pockets. 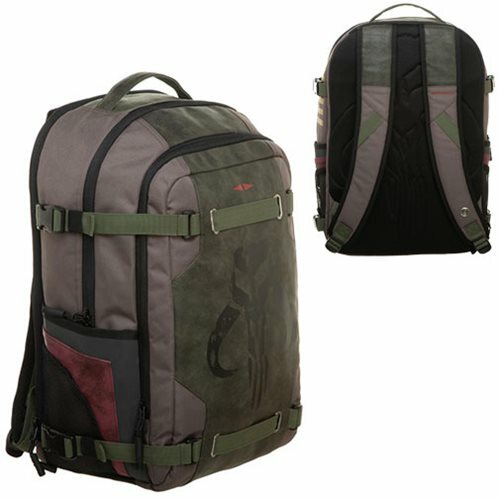 Made of durable materials, it measures approximately 18 3/4-inches tall x 12 1/2-inches wide x 7-inches long.